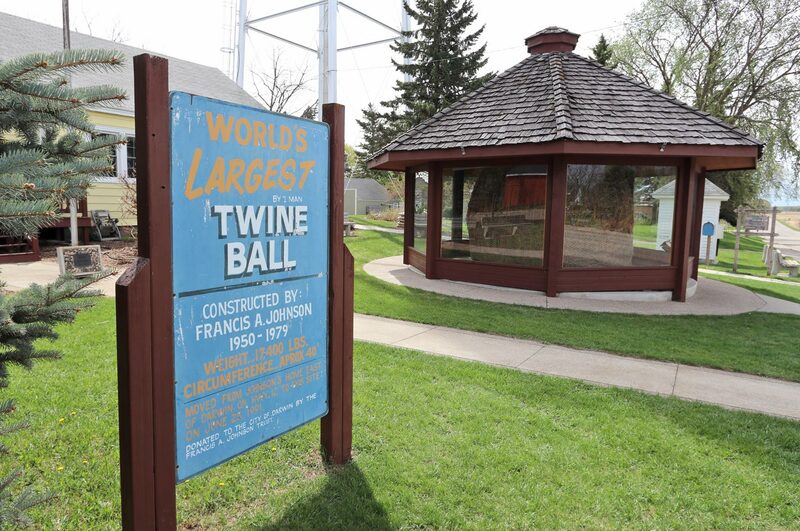 Minnesota’s quirky roadside attractions include a giant ball of twine, a 55-foot-tall Jolly Green Giant and several iterations of everyone’s favorite blue ox and lumberman. Hunting down these mythical figures and oddities is the perfect excuse to venture out on a mini road trip and grab some classic photo ops. These two famous friends are well-represented across northern Minnesota. 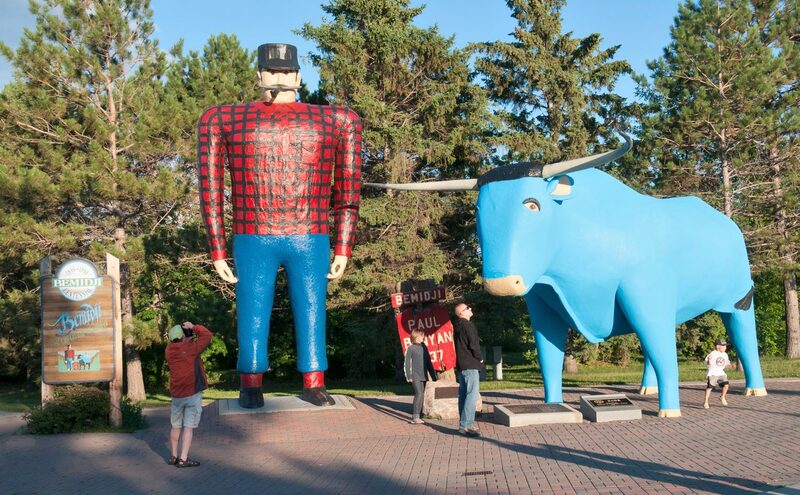 • Debuting in 1937 for a winter carnival, Bemidji’s 18-foot-high Paul Bunyan, dressed in his signature buffalo plaid shirt and blue jeans, stands proudly beside Babe, his blue pal. • A talking Paul (from 1954) and Babe (1964) grab attention at Paul Bunyan Land in Brainerd. Paul Bunyan Land in Brainerd. 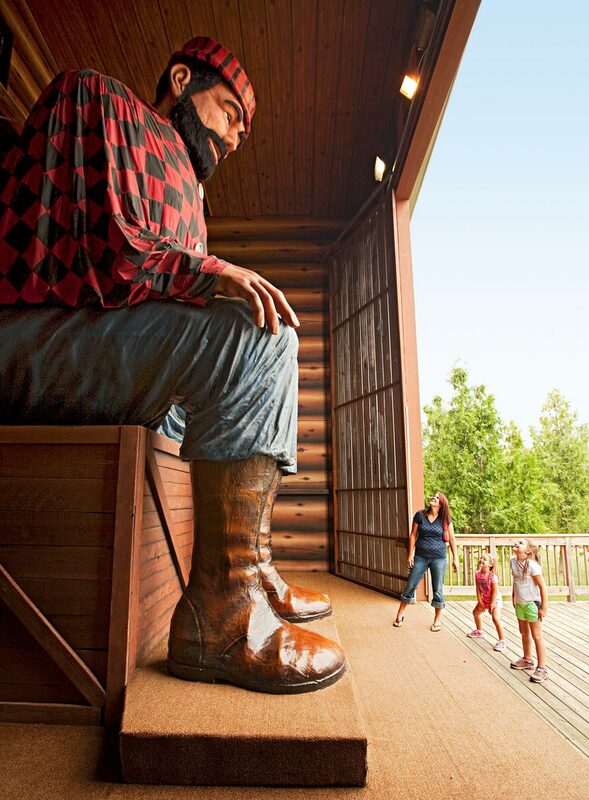 • An oversized Paul Bunyan kneels outside the Paul Bunyan Historical Museum in Akeley, with one hand low enough for visitors to crawl into. • Paul’s sweetheart, Lucette, has stood as Hackensack’s larger-than-life centerpiece since 1950. Legends and lore surround these figures on display in southern and central Minnesota. 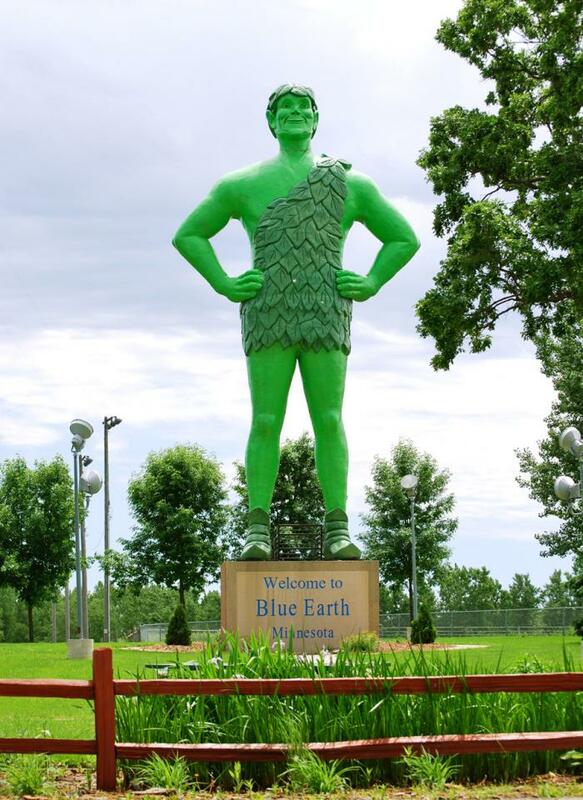 • The Jolly Green Giant: This 55-foot-tall, 8,000-pound green bean was built to lure motorists off Interstate 90 and into the town of Blue Earth. • Hermann the German: New Ulm’s symbol of Teutonic heritage since 1897. 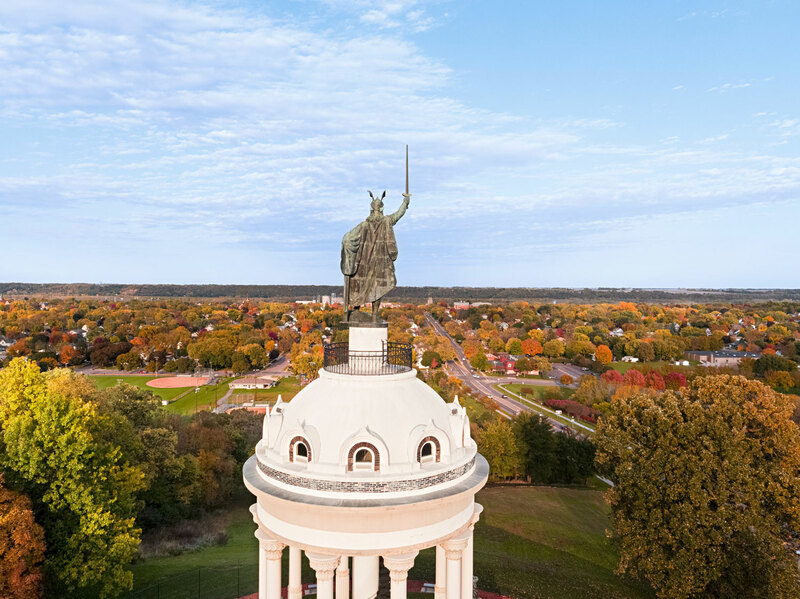 The 27-foot-tall, sword-wielding chieftain stands atop a 102-foot-tall monument in Hermann Heights Park; climb spiral stairs for a view with Hermann. • Big Ole: A 28-foot-tall, helmeted Viking warrior is an artifact of the 1965 New York World’s Fair. Today, he symbolizes a theory of early Norse exploration in the Alexandria area. These fish are as big as the tales told all across the Land of 10,000 Lakes. • Minnesota’s state fish, the walleye, can be found in larger-than-lake form in Baudette, Garrison, Isle, Rush City and near Lake Kabetogama. Walleye sculpture in Baudette. Photo courtesy of Explore Minnesota. • There’s a giant tiger muskie in Nevis and Bena, a Northern Pike in Deer River and a trout in Preston. 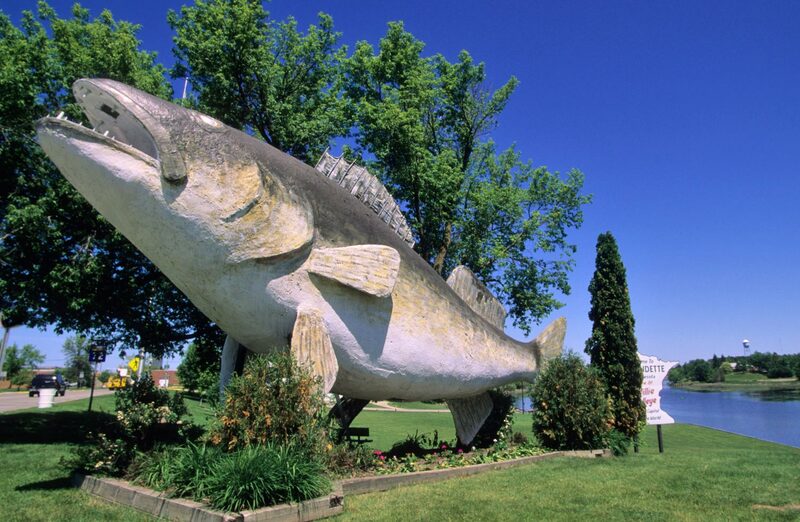 • Madison, the self-proclaimed Lutefisk Capital of the USA, boasts a giant cod named Lou T. Fisk. Find these (possibly) record-setting everyday items within an hour’s drive of the Twin Cities. • A size 638-D leather boot, crafted for the centennial of the Red Wing Shoe Company in 2005, stars at the Red Wing Shoe Museum in Red Wing. The boot weighs over a ton. 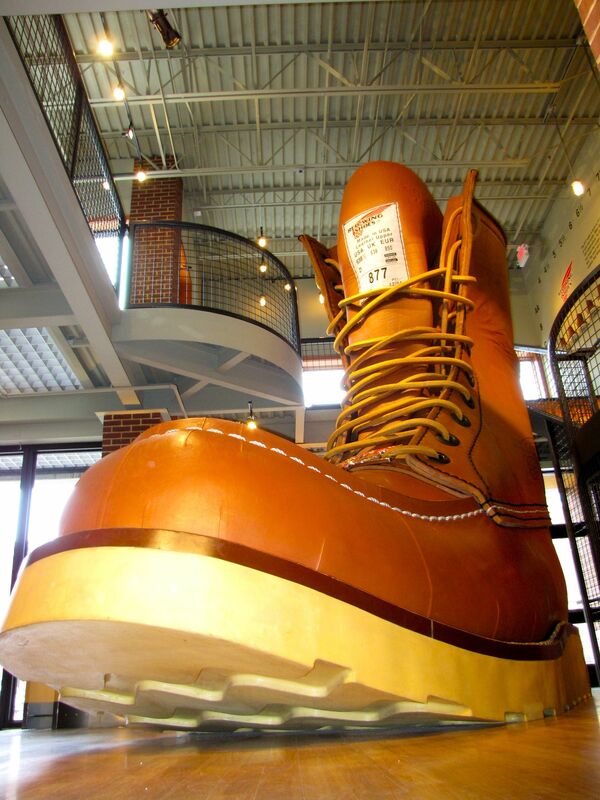 Giant boot in Red Wing. • Minnesota’s Largest Candy Store, in Jordan, claims to have the “World’s Largest Soda Selection” with 155 varieties of root beer alone.